This is a powerful way to ground into mindfulness...and can be used to shift into the present moment quickly and easily...Just take a look around you and look for beauty in what you see. When we look for beauty, when we look for kindness, when we look for love, that is what we will see and when we can appreciate all that we have that is so beautiful, it can pull us out of whatever has us in its grips to come back to the present moment and just be. You can also look for details...if you just can't find the beauty in your surroundings, break it down and look for colors. Look for the details of the colors...do you see white? Or is it actually grey with blue swirls and some purple? Are the leaves on the tree green? Or are they actually brown with aqua and yellow and forest green? Separating the colors will give your brain something to do so that your emotions can calm down and you can ground yourself into the present moment. So, if you are feeling overwhelmed, ask yourself when was the last time I opened my eyes and looked around? 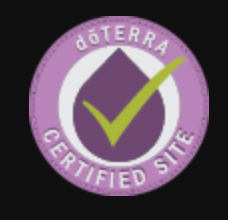 My goal is to educate and empower people to find balance through diet, meditation and use of essential oils. Everyone deserves to feel vibrantly healthy and to be in love with themselves.